Lately, I have been thinking a lot about the digital world that my middle school students live in. I grew up in a world where charts, graphs and maps were mainly used in academic publications. Although I was taught in my statistics class in college that you can make a graph say pretty much anything, it was not until much later that I understood the implications of that. In the past few years, I’ve watched data flying around the internet that has no citations for where it came from, and have seen mainstream media both support and refute a particular point in an argument using the same visual representation of data. In an era where visual representations of data have become so widespread, it became imperative to me that my students learn and understand how to read, interpret, and most of all question the data they see in graphs, maps, and charts. Did the post have an image and summary? Yes. But the graph is used completely inappropriately to illustrate the concept. Now, you may think that this was a one-off, but the reality is that most of our students do not question the “first hit” of their search results. With these problems in mind, I started asking what I could do to provide my students with the tools to read and understand graphs, as well as how to question them. I knew this needed to be more than a one-time deal. In order to really help them become better consumers of information, they would need lots and lots of practice. While looking for resources, I came across The New York Times “What’s Going On in This Graph?” series. 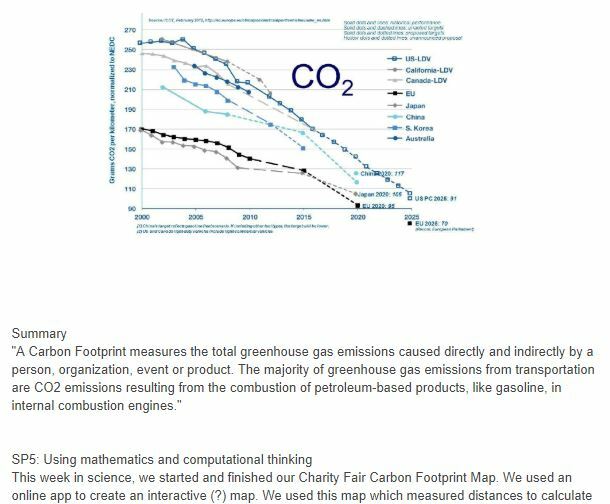 In this weekly publication, I found not only a collection of graphs, maps and charts that are recent and relevant, but also a discussion framework (“Notice and Wonder”), an invitation for students to write a title for the graphs featured (more critical thinking practice), and even an invitation for students to discuss them live. It was almost as if The New York Times had read my mind! For students 13 and older, through the comment section on the weekly activity (where comments are moderated for civility). For younger students, commenting through Desmos, a “closed classroom” environment. For my students, neither of these options were “just right” at the time. On one hand, I relished the thought of the public commentary, but worried about privacy. On the other, the closed classroom environment of Desmos seemed too restrictive and would be new to us–I wanted to roll the activity out without introducing another login and platform. So, I decided to simply publish the activity using Formative, a tool where I could post the graph with links, ask students the “Notice and Wonder” questions, and follow them with the “propose a catchy title” prompt. I liked the idea of using this tool since I could use it to share students’ answers with the whole class without displaying their names, and we could then have a class discussion about their noticings, wonderings and titles. This process worked the first few times, and while their noticings and wonderings started to strengthen with each discussion, their titles quickly became uninspiring, a simple restatement of what the graph was saying. A way to share their posts with a wider audience, other than my own social media accounts. A way for my students who were not comfortable with posting publicly to opt out of sharing. A way for my students who don’t have social media accounts to provide votes or likes. The answer to these three needs came from Padlet, an online bulletin board that can be set with different privacy options and that can easily be shared on a myriad of platforms. 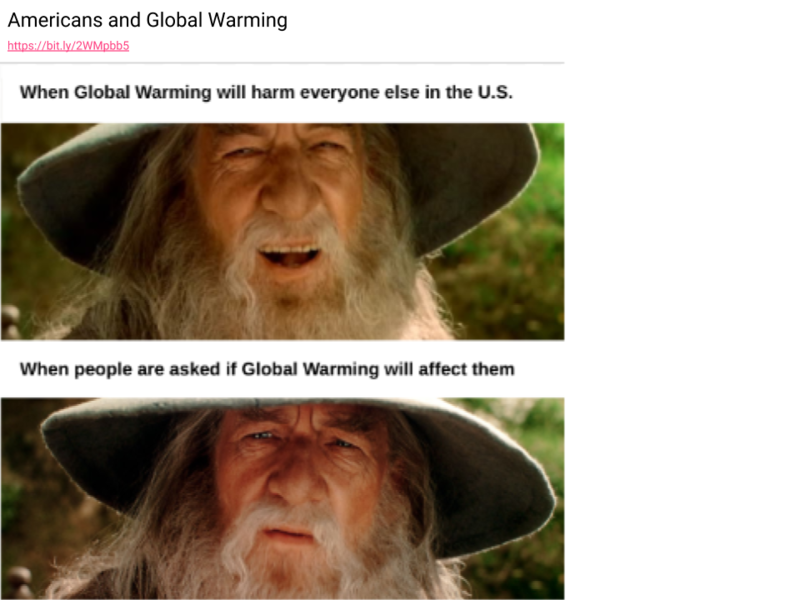 I created our “What’s Going on in This Graph?” meme Padlet, showed it to students and invited them to share their memes there without making it mandatory. 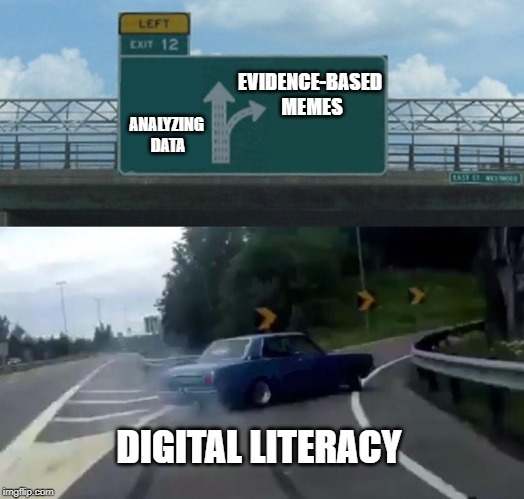 For the last few weeks, our in-class assignment has morphed into a discussion of whether or not the memes shared are really supported by the data in the graph being analyzed. This adds yet another level of depth to the original intent of providing students with the skills and practice necessary to read, interpret and question graphs, maps and charts. 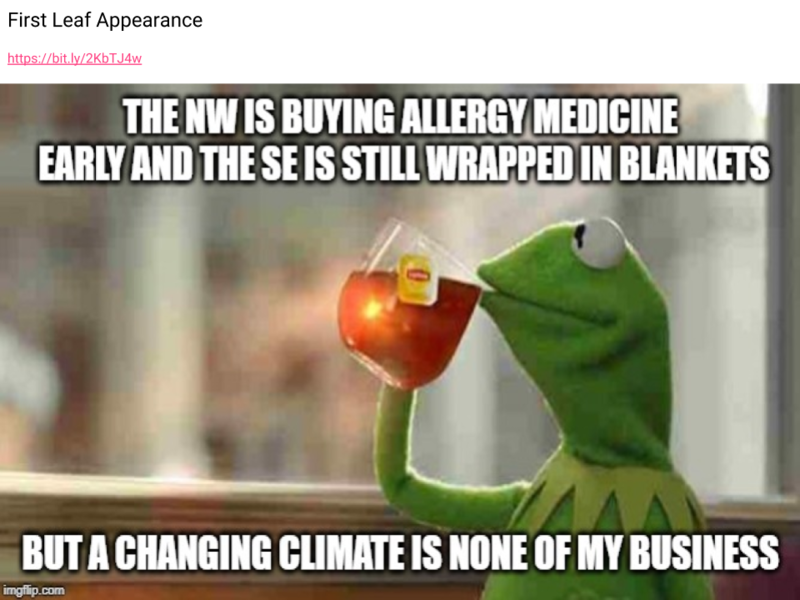 Little by little, our collection of evidence-based memes has grown, and I am very proud of what my students have decided to share. I invite you to take a look at our Padlet and vote on your favorites. These are mine.